AMHERST, MASS. 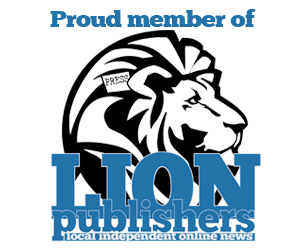 – The nationally 17th-ranked Cortland women's lacrosse team used a five-goal run in the second half to break open a tight game and defeated Plymouth St., 17-9, Saturday afternoon in the first round of the NCAA Div. III playoffs at Amherst, Mass. The Red Dragons improved to 16-4 on the season and advanced to face sixth-ranked Amherst in the second round, Sunday at 1 p.m. The Panthers had their season end at 14-4. 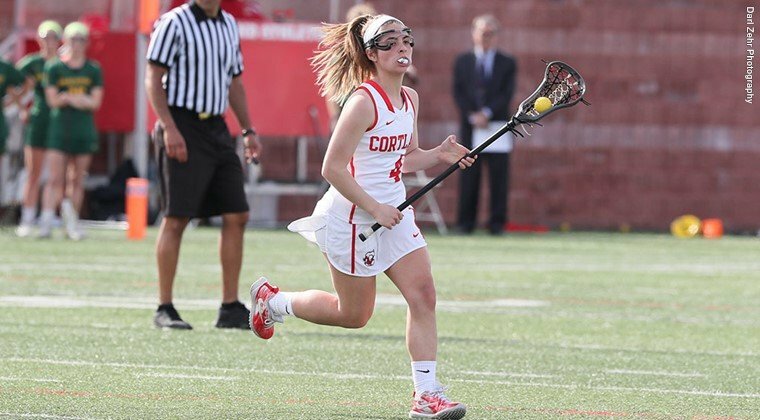 Sophomore Lexie Meager (Syracuse/West Genesee) led Cortland with three goals and one assist. Junior Carly Stone and sophomore Baylee Ojeda each netted three goals, while senior Kristyn Drake (Tully) and freshman Hannah Lorenzen (Stony Brook/Ward Melville) scored two goals. Senior Katie Wolfe (East Amherst/Williamsville North) tallied one goal and one assist, and senior Jaycie Annable (Navarino/Onondaga), sophomore Brie Yonge (Penn Yan/Penn Yan Academy) and freshman Cecilia Procopio (Syracuse/West Genesee) added one goal apiece. Senior Megan Gonzalez (Miller Place) totaled a career-high five assists, sophomore Molly Newton (Skaneateles) contributed three assists and senior Hannah Elmer (Syracuse/West Genesee) chipped in with one assist. Freshman goalie Annie Casey (Bay Shore) made 10 saves and collected five ground balls. Junior Hailey Dobbins (Syracuse/CBA) won eight draw controls, Meager and freshman Hannah Tiso (Somers) each secured three draws and senior Carli Clementi (Huntington/Harborfields) scooped up three ground balls. Sam Sullivan paced Plymouth St. with three goals. Megan Tingley tallied two goals and two assists, Sydney DuBois scored twice, Sam Fiore added a goal and Veronyca Daniels recorded three assists. Goalie Clarissa Foote registered 19 saves and four ground balls. Kimberly Zuccaro recorded two ground balls and two caused turnovers, and Sarah Jackes secured three ground balls. The Red Dragons jumped out to a 4-0 lead less than five minutes into the game as four different players scored goals. The Panthers netted two of the next three goals to get to withing 5-2 before Cortland upped its lead to 7-2 at the 16:21 mark. Plymouth St. netted three of the next four goals and trailed 8-5. The teams ended the half by trading goals, and the Red Dragons led, 9-6, at the break. Cortland netted the first two goals early in the second half for an 11-6 lead. The Panthers cut it to 11-7, but the Red Dragons went on their decisive five-goal run to grab a commanding 16-7 advantage with 11:52 remaining. Five different players found the back of the net during the scoring binge. Plymouth St. ended the streak at 9:25 before Procopio completed the scoring at 6:46 for the 17-8 final.